Paradise ~ it truly is ~ You drive up to what appears to be a charming cottage and you step inside to paradise. Completed in 2017, the main house features 4 stunning and spacious bedrooms; three new bathrooms, four living areas; two fireplaces; chef's delight kitchen and then there's the two bedroom guest house with separate entrance. All is exquisitely finished and furnished. Both open to spacious decks leading to lush lawns with firepit; hot tub; Bocce Ball Court, Horseshoe Pit . SchoolsClick map icons below to view information for schools near 192 Pine Ridge Drive Stateline, NV 89448. 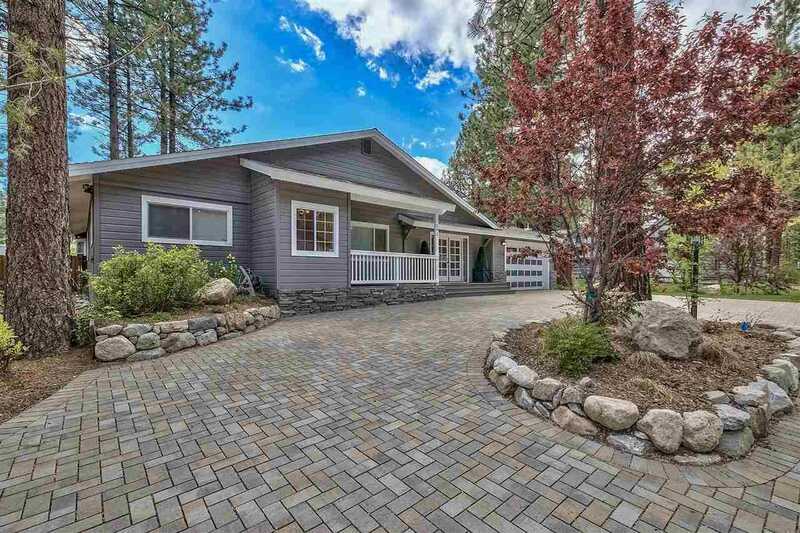 Listing provided courtesy of Engel And Volkers Lake Tahoe.